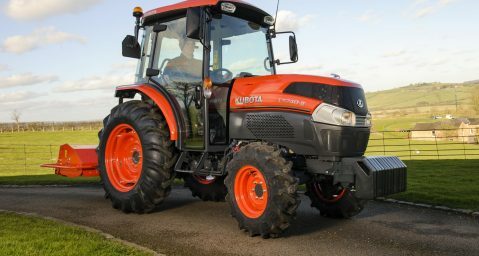 Kubota Corporation continues to make significant investments into its expansion throughout Europe and will now invest in a brand-new R&D Center that will be the Competence Center of Engineering for agricultural tractor markets, and the base for Kubota’s research activities for tractors in Europe region. Kubota, already present in about 100 countries worldwide, aims to continue growing internationally, and this latest investment will accelerate this expansion and growth. Since Kubota Holding Europe B.V. was launched in 2017, the company has reinforced its corporate identity in Europe, with employees synchronising processes and procedures so that there is a consistent approach to how all our business units work and can provide the best services and products for its dealers and end user customers. Market leading tractor and groundcare equipment solutions provider, Kubota, will be exhibiting its new Grand L40-II Series deluxe tractors at Saltex. 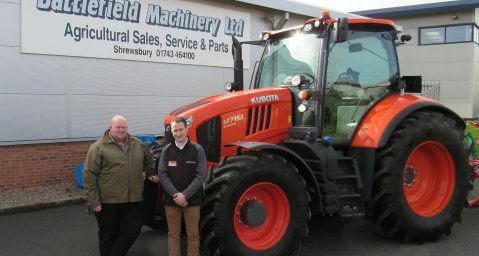 Kubota UK has further strengthened its presence in the agricultural sector with the announcement that it has joined forces with Shropshire-based machinery dealer Battlefield Machinery Ltd.